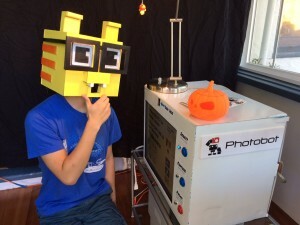 It’s another Halloween for Photo Bot! Check out the photos from tonight at this link. This entry was posted in Events and tagged Photo Bot, Photobot on October 31, 2015 by RobotBrigade.